In the realms of New Wave of Traditional Heavy Metal the typical sound is modeled from the 1979-1983 era, that time frame represented so well by the newer legions in Enforcer, Cauldron, The Dagger and Black Trip. 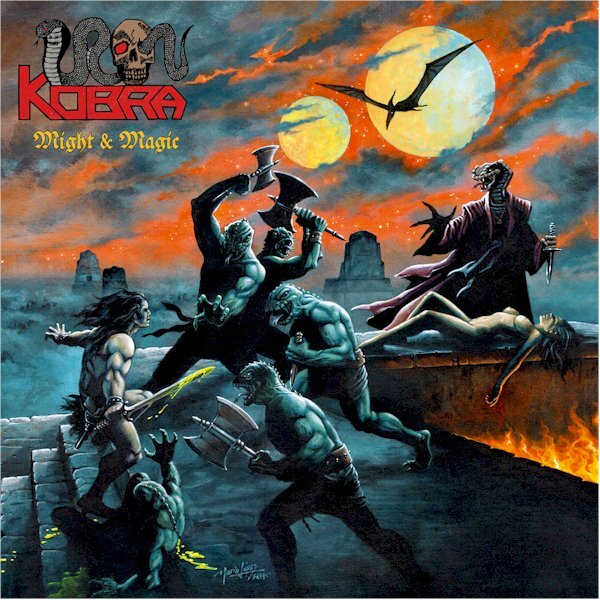 Germany's Iron Kobra represents a cross-section of the traditional metal movement made famous decades ago by the likes of Cirith Ungol, Warlord, Virgin Steele and Manilla Road. That sound has been perfected for years by droves of new bands throughout the 90s and 00s. Much like Solemnity, Ironsword and Battleroar, Iron Kobra have produced a consistent stream of quality work over the course of nine years. The North Rhine band began with a limited fifty pressings of their 'Cult of the Snake' demo in 2009, sold at the "Raging Death Date" festival in Germany. The CD-R was later released in 2010 as a cassette by Dying Victims (Iron Curtain, Borrowed Time) as well as a re-release split CD with Witchcurse by the La Medula Espinal label. In 2010 the band released their 'Battlesword' EP via Battle Cry Records. That same year a cassette live recording, 'Live at Crom's Place' appeared via Maxima Destruccion. The eight-song set was recorded live in Ahrenburg, Germany. In 2012 War Productions released two EPs from the band, 'Teutonic Tyrants' and 'Avenger'. In December of 2012 Iron Kobra released their much-anticipated debut full-length album, 'Dungeon Masters', through Dying Victims. The album featured several cuts from the group's previous releases, re-worked and re-recorded, as well as new tracks. The album was mixed, mastered and recorded by Wally Walldorf, known for his studio work on Metal Inquisitor, Metalucifer and Desaster. The prominent sound was a good mix of power ("Dungeon Master"), speed ("Speedbiker") and traditionalism ("Valhalla Rock", "Metal Rebel", "Ronin"). The band supported the release with performances with Paul Di'Anno (ex-Iron Maiden) at the Metal City Festival as well as the Raging Steel and Helvete Oberhausen. 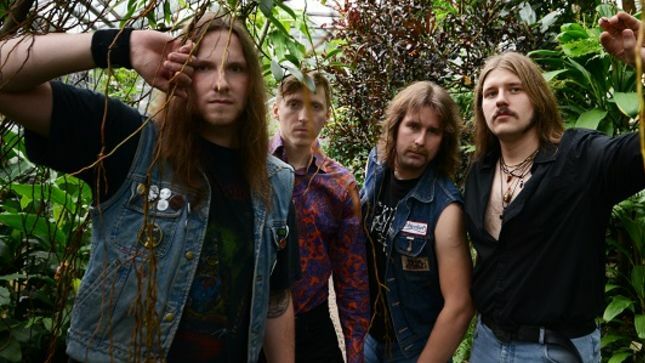 In 2014 the band played festivals like Storm Crusher and Metalheadz Open Air with the likes of Stallion, Ruler, Enforcer and Ruthless Steel before entering the studio to record their sophomore release 'Might & Magic' once again for Dying Victims. The band chose relative newcomer Peter Nawotka to record the album with bass engineering done by Jolle (Mandatory, Iron Thor). Continuing the debut's homogeneous mix of speed and traditionalism, 'Might & Magic' possesses that same firm grasp of denim and leather nostalgia that is indulgent while not being over-bearing. Tracks like 'Watch the Skies' is firmly enamored with Maiden's twin guitar culture while 'Born to Play on 10' is the typical Teutonic ampage, complete with speed picking and a double-bass battery. 'Cult of the Snake' shows a bit more of an intricate arrangement, bordering on mid-era Blind Guardian. The band prove they are every bit of the metal warriors they profess to be. The group consistently plays festivals and gigs worldwide supporting not only themselves but countless other bands, promoters and the heavy metal community. With positive reviews from their peers and a recent 10,000 plays on Bandcamp, the stalwarts are truly emerging as a top tier representation of today's classic power metal scene.